The controversial practice of ‘netting’ has been adopted around Steeple Claydon - in a bid by HS2 workers to stop birds from nesting in hedgerows they wish to destroy. Many wildlife enthusiasts and campaigners say that netting is cruel, and that it threatens biodiversity, animals can get trapped in the mesh and produces large amounts of plastic waste. A public petition to the Government calling for the practice to be made illegal has gathered 204,923 signatures online, and high-profile naturalists including Chris Packham have criticised developers for promoting it. Netted hedgerows were spotted this week at sites including Upper South Farm Doddershall, prompting anger from campaigners. A spokesman for HS2 Ltd, said: “The installation of this netting was carried out by HS2 contractors, as part of the pre-works for National Grid’s gas pipeline diversion scheme. “This temporary netting is to discourage birds from nesting during construction and was installed before the nesting season started. A spokesman for the RSPB said: “We cannot keep trying to squeeze nature into smaller and smaller spaces or demanding it fits in with our plans. “This is an issue we are talking to the Government about as they look at what needs to happen over the next 25 years to stop our wildlife from continuing to vanish at an alarming rate. “In the UK we have lost over 40 million birds in the last 50 years. “So we are looking to the Government to not just ask planners and developers to think about whether it is necessary to remove the trees and hedgerows that are vital for supporting our wildlife, but to ensure that developers replace what they take away. “If the work is absolutely necessary, then the use of netting could be avoided by tree and hedge removal being completed outside of the nesting season. 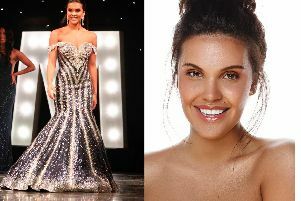 “And, if it is used it is important to remember there are responsibilities to do it properly. “This means checking for birds and other animals when the netting is fitted, and then ongoing regular checks, as wildlife often finds a way to get under the edge of a net and then get stuck. Meanwhile our HS2: Enough Is Enough campaign continues, and the residents of Steeple Claydon are still fighting too. 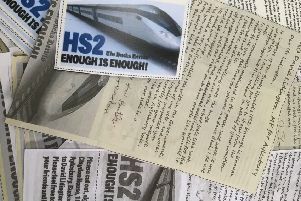 Councillor Charlie Clare, who has worked with residents on the issue, said: “Two weeks after over 20 residents delivered a petition with over 2500 signatures to HS2, I have still had absolutely no response from Mark Thurston the CEO or any of his senior team. “This demonstrates the total lack of regard of our community from the very highest level of management of HS2. On a local level there has been a further community engagement meeting and there are rumours that the de-veg clearance is being scaled back, slightly. A source told a national newspaper this week that official ‘notice to proceed’ had been put on hold for HS2 until at least December. Although the HS2 Ltd says this is in line with what it was planning – the firm did not deny the official go-ahead was taking a while to get the rubber stamp from Government, or the claims from the national newspaper source. But it did say that preparatory works – which include areas such as Steeple Claydon, Wendover, Great Missenden and Fairford Leys, will continue as planned. According to the source, Transport Secretary Chris Grayling made it “very clear to HS2” that it must stay on budget. But the report said the source insisted that the line was “crucial” to providing the transport capacity needed by the country. The news follows reports in February that fears over the spiralling costs of the rail link were stoking opposition to the scheme among ministers, with several pushing to “kill it off”. The high speed rail service – which would connect London to cities including Birmingham, Leeds and Manchester – was originally budgeted at £33bn, a figure that is expected to double – with some commentators saying it could reach as much as £100bn. Councillor Charlie Clare, who has supported Steeple Claydon residents in their fight against work which affects their area and its wildlife, said: “I am interested to hear that Notice to Proceed has been postponed. “Until recently many people, including members of Parliament, believed that HS2 was a done deal and nothing could stop it. “Now it is clear that HS2 is some way off having permission to build anything at all. An HS2 spokesperson said: “HS2 already supports more than 7,000 jobs both directly and across our UK-wide supply chain. “Work has been carried out on more than 60 sites, including major works ongoing at Euston, Old Oak Common and Curzon Street in Birmingham. So, while there maybe a glimmer of hope on the horizon our Enough Is Enough Campaign continues to fight the good fight. Our Facebook community has amassed 1,000 members and we are currently working on our next step - watch this space! Thank you to all who have engaged with the campaign so far. “This Council proposes that the Leader should write to Government to request that all enabling works for HS2 in Buckinghamshire should be paused until the Notice to Proceed to main works contractors has been approved. “As required by the Department of Transport, Notice to Proceed should not be given until management capability, affordability of contracts and robustness of revised business case have all been proven. “We see no reason why the County should suffer significant disruption and long term environmental destruction until detailed design and cost has been approved.